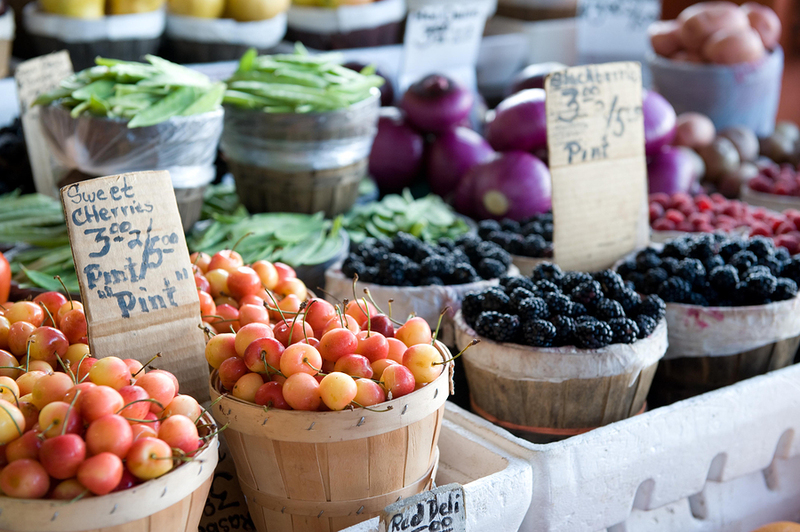 As spring is approaching, fresh produce may seem more accessible through the farmer’s market. In addition to offering fresh fruits and vegetables, many markets have arts and crafts from local vendors as well as live music. There may be activities for kids and adults too. You never know what you’ll find at the farmer’s market – that’s why it’s so much fun to visit. In case you don’t have cash with you, many of the merchants accept debit or credit cards. Some of the farmer’s markets have bank tables where you can purchase market tokens with your credit or debit card, You can use the market tokens to.make your purchases from the merchants. In addition, if you are receiving food assistance, check to see if the farmer’s market you’re going to participates in the Double Up Food Bucks program. You’re in luck if they do. For every dollar you spend, you receive an additional dollar in food bucks to buy even more. You can receive up to $20 in food bucks each day that you visit. The Senior Farmers Market Nutrition Program also will help you purchase fresh Michigan produce from farmer’s markets if you are over 60 and have limited funds. Click here for more information. There are so many good reasons to buy fresh from the farmer’s market. First of all, fresh produce tastes great. Second, nutritionists advise us to include a wide variety of fresh fruits and vegetables for a healthy lifestyle Third, when you buy food that is grown locally you are reducing your carbon footprint while also putting money back into your local community by supporting local farmers. It’s a win-win for everyone. Though it may not be possible for you to buy all your food from the farmer’s market, you can plan your week’s meals based on what’s fresh and fill in what you need from the grocery store. You may also get some good tips from the merchants about how to use an unusual ingredient in a new way. Whether you already go to the farmer’s market regularly or haven’t been there in a while, I invite you to check out your local market. I bet you’ll find something yummy and have fun in the process. Char Brooks is a Hotline Attorney at Elder Law of Michigan and a regular contributor to this blog. Senior Project FRESH/Market FRESH 2014!! Next Next post: How Should We Think About Nutrition as We Age?